We are one of the leading Manufacturers, Exporters and Suppliers of Kaolin China Clay. The Kaolin China Clay that we offer has natural composition of AI2O3 2SiO2 2H2O. 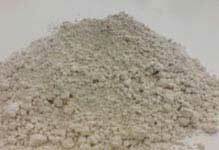 We provide Koalin China Clay in powder and micronized form.